need help designing an irresistible brand? want guidance on driving traffic to your blog? dream of creating a passive income stream that earns you money while you sleep? ...then you need this course! DON'T WAIT TO PROFIT FROM YOUR PASSION! SIGN UP FOR A BOMBACIOUS BLOG AUDIT! 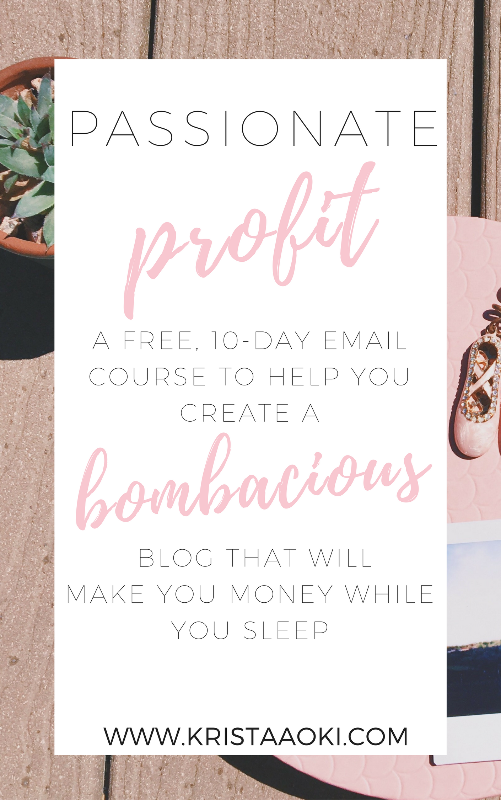 Sign up for the Bombacious Blog Audit and get access to tested & true strategies so you can start profiting from your blog this month! All from the lifestyle & travel blogger who grew her monthly traffic & income to her blog within six months. Yes, you can do the same!